our re-certification be renewed subject to a few minor non-conformaties. As we enter our 55th year trading we would like to wish you all a Happy, and Prosperous New Year. We aim to make your job easier, by offering comprehensive sub-contract engineering solutions. 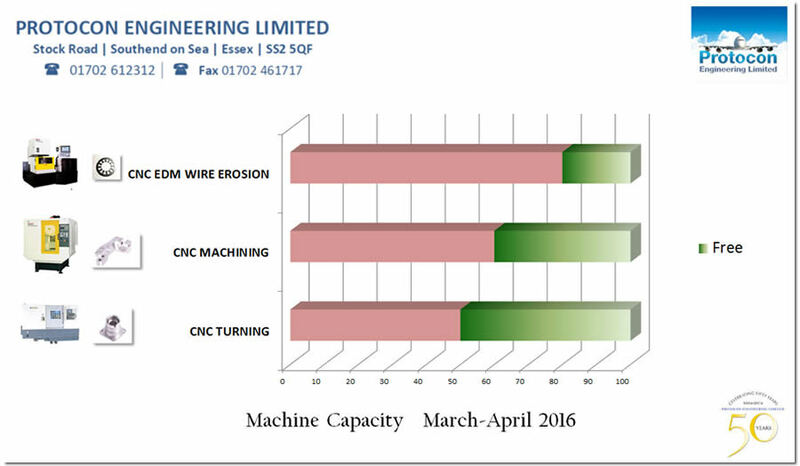 We possess a wealth of experience and technical knowledge built up over many years, developing and improving equipment for manufacturers and end users and our continual investment policy ensures you have access to the very latest CNC machinery and 3D CAD Technology, coupled with our Seiki Scheduling Systems means our quality and delivery performance metrics are excellent. 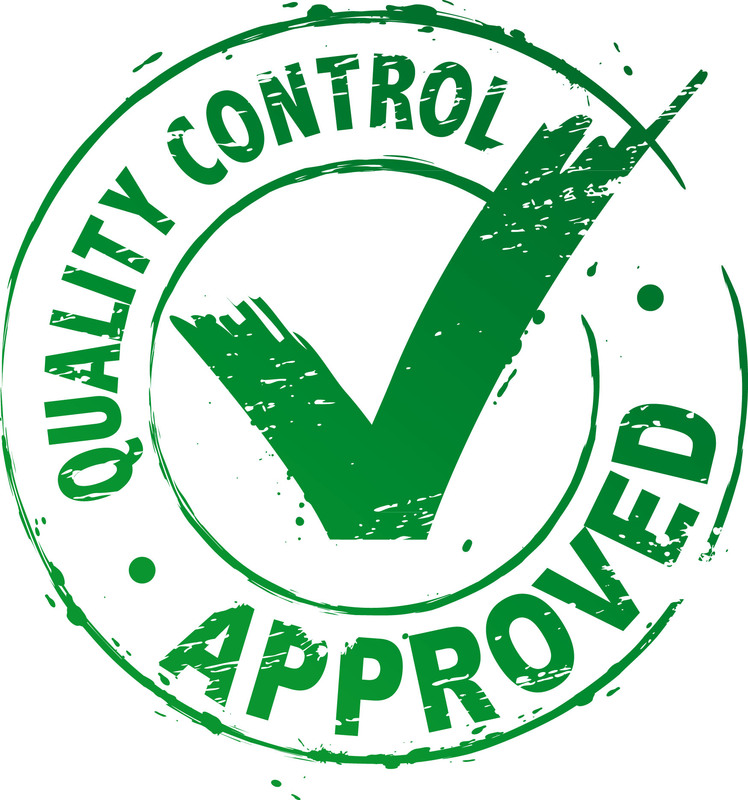 You can expect a speedy quotation from your enquiry, with competitive pricing, on time delivery and first rate quality assurance. One of our key strengths is our ability to perform precision machining and fabrication all on one site, and customers enjoy the peace of mind that Protocon Engineering can offer by manufacturing your product from start to finish. Our 'one-stop-shop' approach reduces lead-times and overall costs that few can rival. 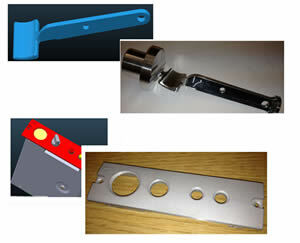 CNC machine centres though our dedicated post processors and DNC links. After an thorough 3 day BSI Audit, we are proud to confirm it has been recommended that we are re-certified to the new AS9100 Rev. D standard, with just a couple of minor non-conformities. This is further proof of our commitment to Quality, Service and Delivery, and one of our key strengths is our ability to perform precision machining and fabrication all on one site, and our customers enjoy the peace of mind that Protocon Engineering can offer by manufacturing your product from start to finish. As we enter our 54th year trading we would like to wish you all a Happy, and Prosperous New Year. Following our successful re-certification AS9100 Rev C Audit, we are pleased to confirm our Auditor has recommended our certification be renewed until August 2018. Our full re-classification to AS9100 Rev D will commence in January 2018. 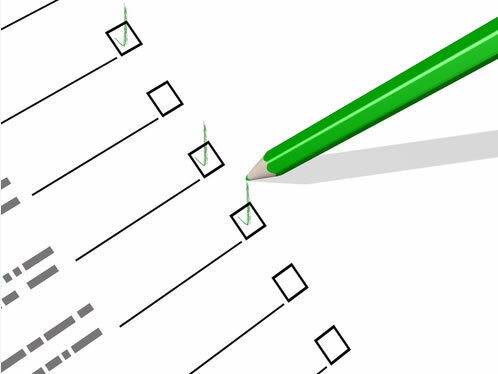 As we come to the end of March, we can confirm our latest Internal Audit only reported 2 minor non-conformaties. Our full 3 day BSI Audit is in April. 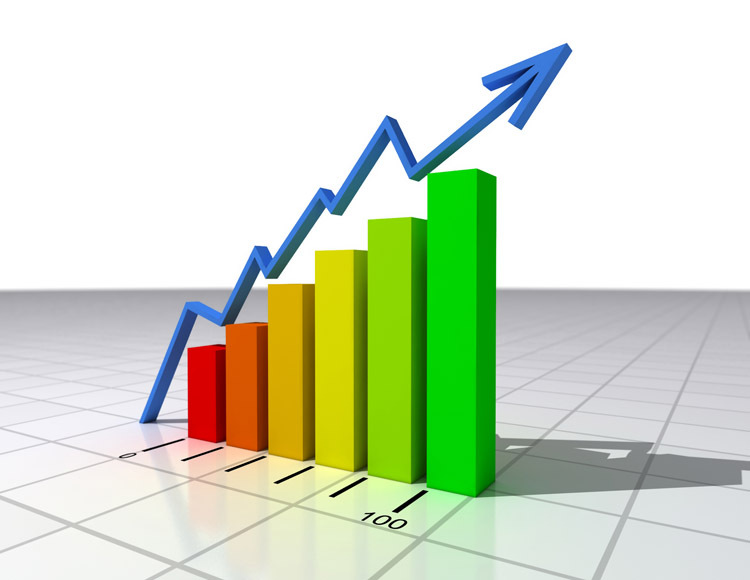 We welcomed new customer Cantel Medical this month, and also recorded bumper Sales figures. We start the month with orders from Rega Research for a vital component in their high-end turntables, as well as notice that our BSI re-certifcation will be in April. Due to completion of some long running production parts, we now have capacity in most areas for February and March. Happy New Year to all our suppliers and customers, and we look forward to a prosperous 2017 for us all. Thank you for your support, and business in 2016. We look forward to assisting you again in 2017. Our offices will be closed from Friday 23rd December and will reopen on Tuesday 3rd January. As we head towards the end of 2016, we are keen to ensure your deliveries are met so please email Request For Quotes directly to karl@protoconengineering.co.uk as soon as possible, so we can plan the next few busy weeks. We welcomed Rega Research onto our customer list this month, with a perfectly executed, if tiny component, from our Wire Erosion EDM department. "No job too small" is an overused phrase sometimes, but this is precision engineering to a new level, even for Protocon Engineering ! September year-end is always a busy time, but we also had our 2 ½ day BSI AS9100 Rev C Audit completed this month, and are proud to confirm just 2 minor non-conformities were highlighted. Proof of our commitment to Quality, Service and Delivery. and we will receive our updated certificate in the next few weeks. We will be working towards the new AS9100 Rev D standard, and have our BSI Readiness Review booked in for early 2017. Due to completion of some long running production parts, we now have capacity in most areas for October and November. Our latest internal audit, for AS9100 Rev C was held this month, with only a few minor nonconformities. This all bodes well for our full re-certification audit, via BSI, to be held in September. 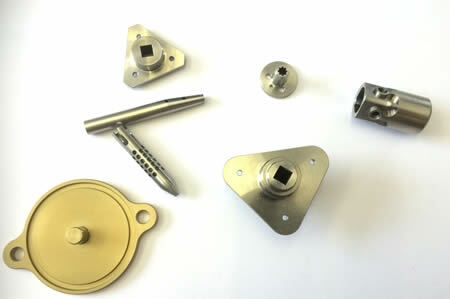 We made deliveries to new customers this month, with some quick-turnaround machined parts. 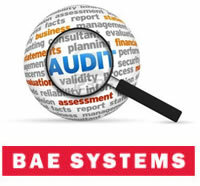 We have a very successful customer quality audit by BAE this month, with only a few minor non-conformities. 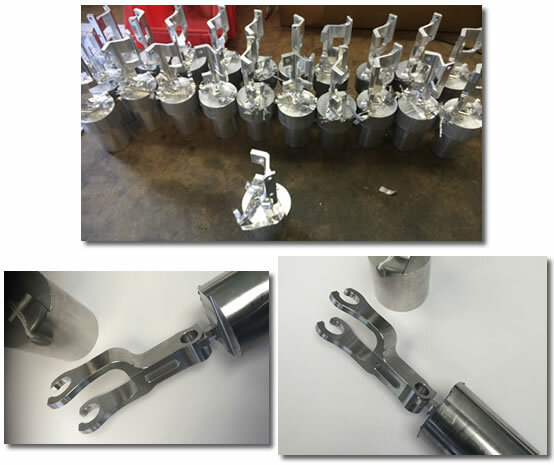 Mass produced machining, utilising our Indexer option allow for complicated shapes to be machined in one operation. This leap year meant we had an extra days production, and we used it to continue to develop our expertise to ease problems for our regular customers, and had the capacity to react when a fast turn-around was required for our new customers. Due to complicated machining this month, Protocon have invested in a Sealy Shot Blaster, to complement our CNC Machining process, and can also offer this as an additional service to our customers. One of our key strengths is our ability to perform precision machining and fabrication all on one site, and our customers enjoy the peace of mind that Protocon Engineering can offer by manufacturing your product from start to finish. After a thorough 3 day audit, our recent BSI visit showed only one minor non-conformity and means our BSI Certification to AS9100 Rev C will run until our next audit on 14/08/2017, and is further proof of our commitment to Quality, Service and Delivery we continue to maintain. Recent investment in our GIBBS Cam Programming system now includes the option to import CATIA v5 files directly into our system. Not only does this allow native customer files to be read and interrogated quicker and easier, but also means we can offer file translation across all the market formats as a further service. This now complements our machining links to the Fanuc RoboDrils, HAAS Vertical Machining Centres, and complex machining options via Haas CNC Rotary Indexers. This month also saw an Internal Audit prior to our full 3 day BSI certification to AS9100 Revision C recertification at the end of August. No major issues of non-conformity found, which bodes extremely well for the upcoming BSI Audit. 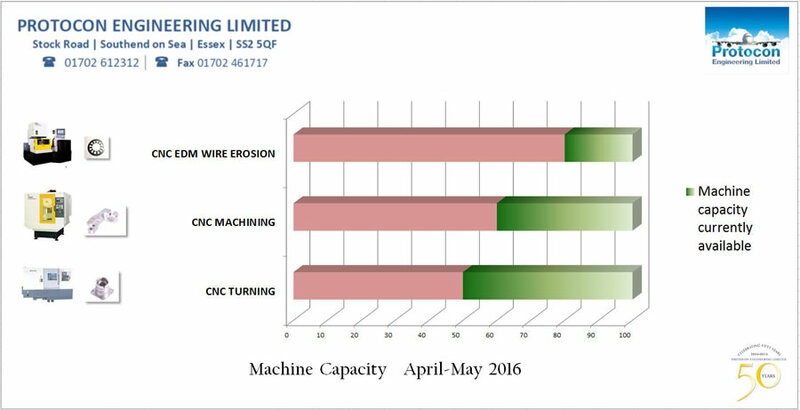 With the uneasiness before and during the Election, and end of the financial year for many of our customers, Protocon have remained busy throughout April and May. Welcoming new customers, and utilising our expertise to ease the problems for our regular customers, and the capacity to react when a fast turn-around is required. 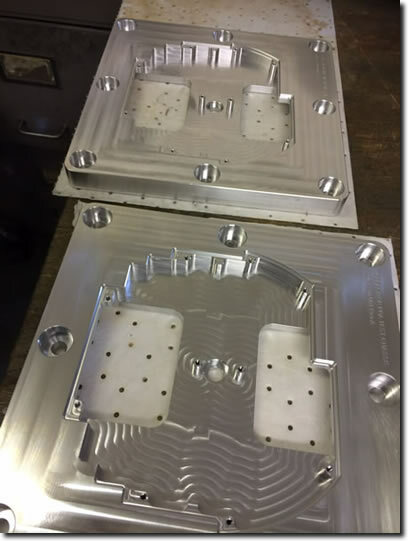 Our customers have access to our very latest CNC machinery and 3D CAD Technology, and these turned and machined parts, coupled with 4th axis machining and wire erosion show this perfectly. Wire eroding allows cutting extremely intricate contours, cavities and patterns with minimal damage to the overall structure of the substance, to a high level of accuracy. Our Scheduling Systems means our quality and delivery performance metrics are excellent, helping us to offer a comprehensive sub-contract engineering solution. Another busy couple of months with customer visits, and orders from new customers within Motorsport, and the High-Speed Imaging sector. Protocon also had their next Internal BSI Audit this month, with only minor non-conformities, which promises to bode well for our full AS9100 Rev C. re-certification audit in July. We are extremely proud of our AS9100 Revision C certification, and are confident our 3 day re-certification will once again be successful. Work also began on a brand new reception/lobby area, to welcome and showcase the varied and diverse work produced at Protocon, to all our visitors. 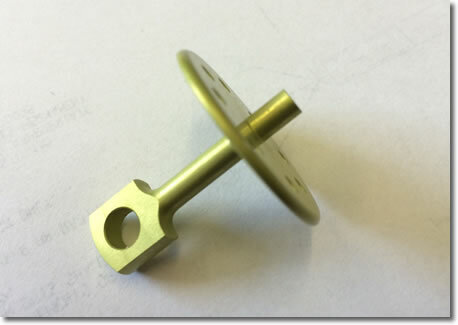 One of our key strengths is our ability to perform precision machining and fabrication all on one site, and our customers enjoy the peace of mind that Protocon Engineering can offer by manufacturing your product from start to finish. Our 'one-stop-shop' approach reduces lead-times and overall costs that few can rival. 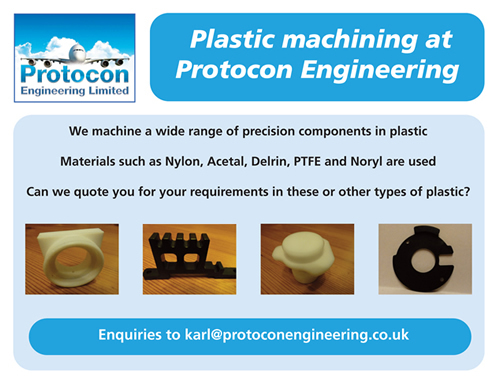 As we head towards the festive season, Protocon are pleased to have received orders from two brand new customers this month, within medical and aerospace. 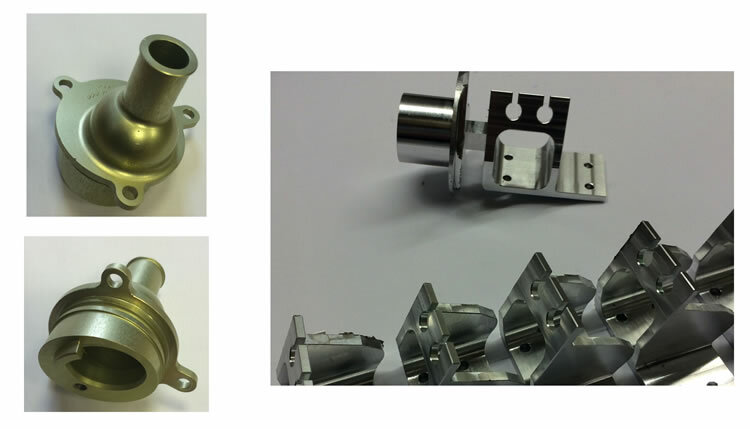 One involving an extremely quick turnaround on small machined parts, from specialist materials, whilst the other is a larger aluminium machining project for a leading medical company. After 50 years trading, Protocon are still proud to be a fast, nimble, and flexible Company, able to react quickly to changes in customer demand. In an ever changing world of customer demand for shorter lead times and cost-effective quality products, it is encouraging that sometimes Protocon's "added value" is just as important as having the lowest overall price. 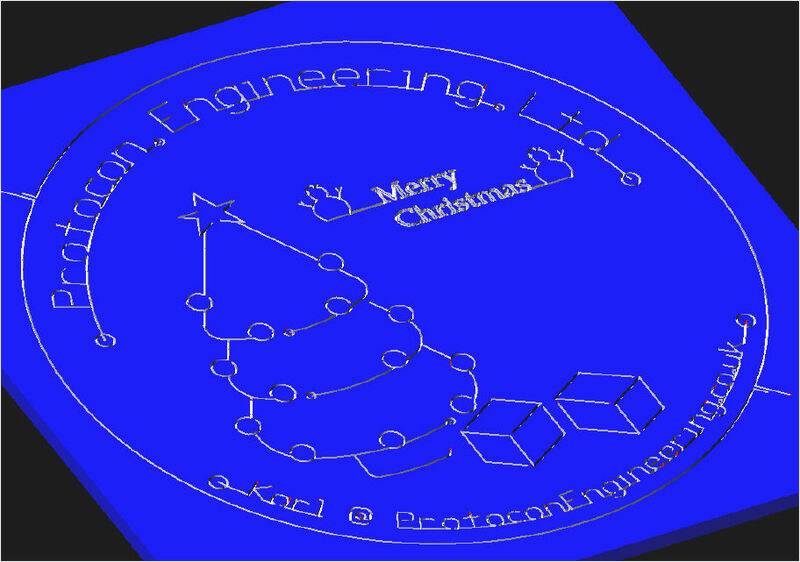 Protocon would like to wish all its existing customers, and all the new, exciting customers to come in 2015 a very Merry Christmas, and a Happy New Year. Protocon are proud to receive their updated BSI certification to AS9100 Revision C.
A copy of which can now be found in our approvals section, or clicking on the picture of the certificate from our home page. This is further proof of our commitment to Quality, Service and Delivery. This month saw Protocon take delivery of two new machines, further enhancing their productivity and technical capacity. Investment this month has seen Protocon Engineering not only double their wire erosion capacity (EDM), but enhancing their vertical machining capacity. 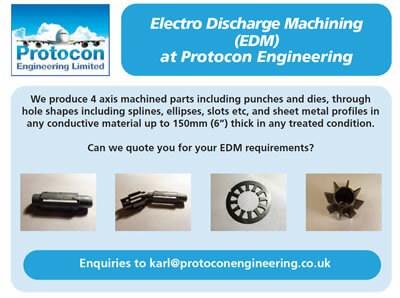 The current EDM Wire Eroding Technology has long been working at near capacity, and this is an area we now hope to not only alleviate, but also to increase customers workload in this niche area. 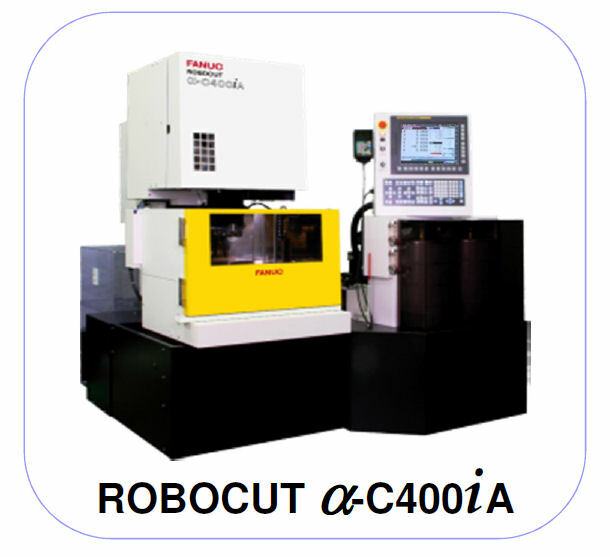 The new Fanuc Robocut EDM C400i A can take work pieces up to a maximum of 700 x 555 x 250mm, and is a logical addition to their existing Fanuc EDM Wire Cut Machine Alpha OC (4 axis). Protocon have significant experience eroding a wide variety of materials, and extremely tight tolerances and a high surface finish can also be obtained. Wire eroding allows cutting extremely intricate contours, cavities and patterns with minimal damage to the overall structure of the substance. 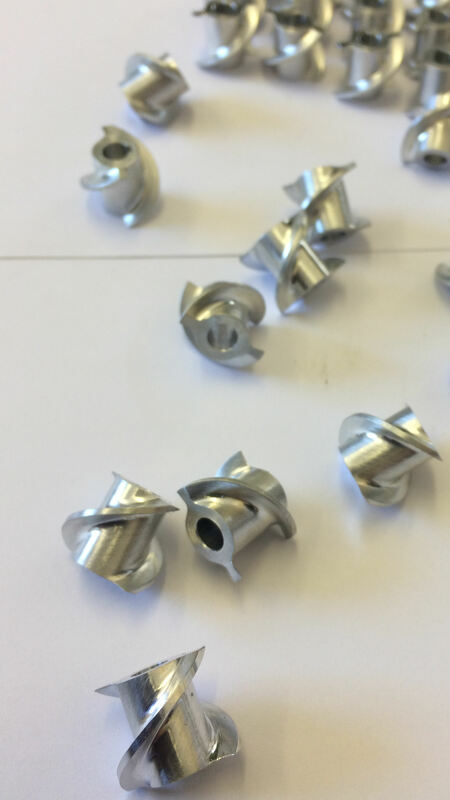 Complex shapes that would otherwise be difficult to produce with conventional cutting tools cut be machined using this process on extremely hard material to very close tolerances. Also, during this hectic month Protocon commissioned a new Fanuc RoboDril D21 MiA5 high power machining centre, which complements the existing 5 Robodrills in the machine shop. The slightly larger footprint of this D21 means it is better suited in our adjoining factory workspace, alongside our other HAAS Vertical machining centres. The new machine boasts an impressive 24,000 rpm High Speed Spindle, and 21 tool storage carousel, ideally suited for the variety of parts machined for the Medical Industry and for the civil and military Aerospace sectors. Both machines have DNC Links to our Gibbs-Cam, allows off-line programming for both 2D CAD drawing files, and full solid models. Cut paths can be directly inputted to all our CNC machine centres though our dedicated post processors and DNC links. "The client has a very mature Quality System supported by stable and knowledgeable management, and fully understood the standard and work to continually improve its ability to meet changes and interpretations of the standard." Following our recent AS9100 Revision C Annual Audit, we are pleased to confirm that the three day extensive audit only found 1 minor nonconformity, which in itself did not indicate a breakdown in the management system's ability to effectively control the processes. BSI were therefore pleased to recommend the continuation of our certification to AS9100 Revision C.
April was our busiest month to date, with the largest order input since records began back in 1964! 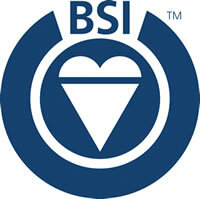 Mid May saw our last internal BSI audit, prior to our major re-certification. No non-conformities were found, and all policies and practices were approved. We are extremely proud of our AS9100 Revision C certification, and are confident our 3 day re-certification at the end of May will once again be successful. 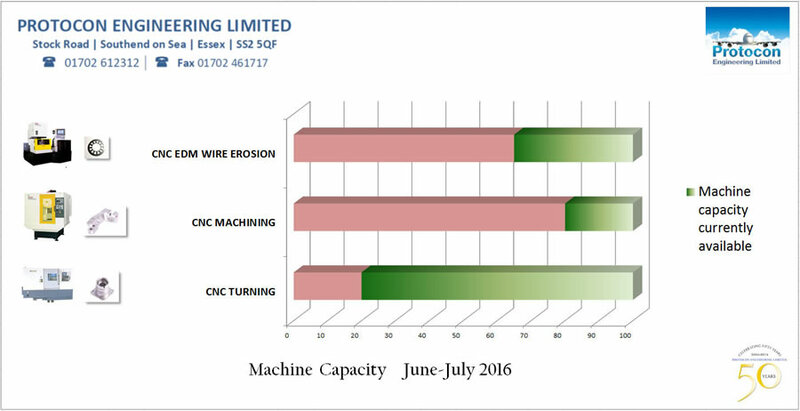 As our order book grows, and our customer base increases we have been looking at re-investment in additional machines to continue this growth process. 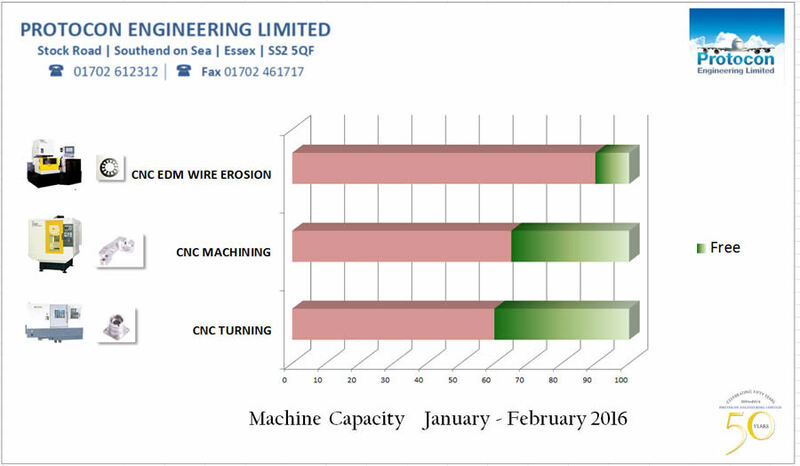 Our EDM Wire Eroding Technology has long been working at near capacity, and this is one of the areas we will look to increase this year. 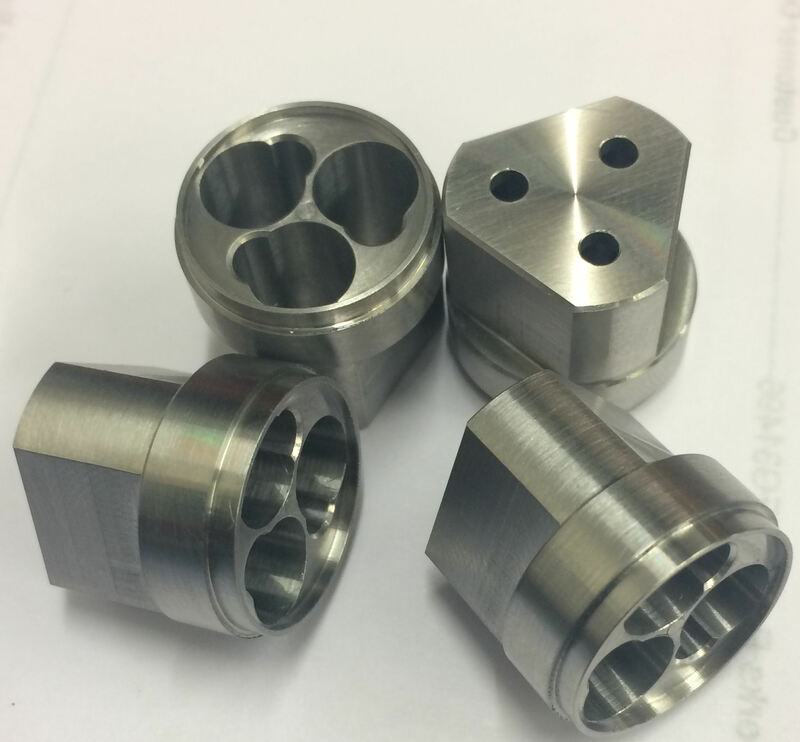 Utilising the EDM process, we produce 4 axis machined parts, including punches and dies, through holes shape including splines, ellipses, slots, etc. and sheet met profiles in any conductive materials, up to 150mm thick. This process is ideal for highly toleranced and accurate parts. Recent tooling for Smurfit Kappa, and prototype work has highlighted the accuracy, and quality we can produce using this process. Smurfit Kappa is one of the leading producers of paper-based packaging in the world. 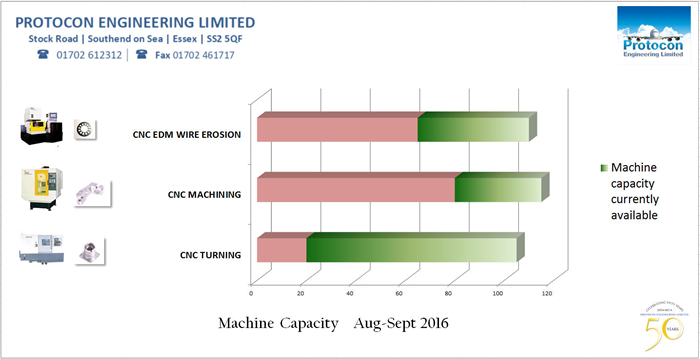 With recent increase in machining orders, we will also be looking to increase capacity/productivity within our CNC Milling area. Further evidence that we continually invest in our processes and facilities to meet the changing requirements of the Aerospace sector. 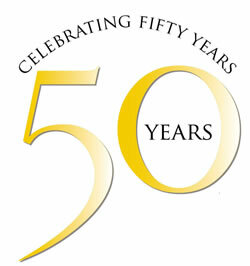 Our 50th year in business may well be our busiest, and most productive to date. Bibby Scientific Ltd, one of the UK's leading broad based manufacturers of laboratory products, announced its acquisition of Electrothermal Engineering Ltd from Thermo Fisher Scientific Inc, in 2011. As the leaders in this sector, Electrothermal have a 70 year history of supplying specific lab equipment and products that specialise in heating, cooling and stirring technology. Cube3 is a successful results driven design consultancy with a passion for making our clients more competitive and profitable through great product design. Cube3 can design new products, revitalise existing ones or reduce production costs through better design. Kbiosystems has been providing automated solutions since 1991 to various industries. Their portfolio of clients stretch the automotive, life science, plant & animal science, biofuel, diagnostics and optical lens manufacture industries amongst others. Our first internal BSI audit was in late March, and no non-conformities were found. This bodes well for our full three day re-audit by BSI later this year. As we enter our 50th year trading we would like to wish you all a Happy, and Prosperous New Year. September year-end is always a busy time, but early October saw Protocon welcome another new client in CK Industrial Engineers Ltd.
CK Industrial Engineer's core business is the design and manufacture of jigs and fixtures to the Automotive industry. They provide engineering solutions to a global client base ranging from the automotive and rail industries to distribution and warehousing industries. Protocon will be working with CK on prototype and production parts going forward into 2014. 2014 also sees Protocon Engineering celebrating 50 years in business, no mean feat in the turbulent sub-contract engineering world ! Protocon was established in 1964 and became a limited company when it moved to its existing site in 1969, and as a family business is now in its third generation. Protocon will receive their updated AS9100 Revision C / ISO BS EN 9100:2009, ISO 9001:2008 certification award from BSI this month, after a recent re-audit. This is further proof of the commitment to Quality, Service and Delivery. and we will receive our updated certificate in the next few weeks. We are glad to welcome Globe Engineering as a new customer this month. An experienced design and manufacturing company, Globe Engineering offers a range of sub-contract engineering services - all to high quality, precision standards. Founded 30 years ago, Globe has the capacity and capability to carry out design and manufacturing projects for the metal joining and automobile industries. This month has also seen us working on design, and development parts for Platinum Stages UK for their UK market of Fitness Equipment Ranges, popular in the US. Platinum Stages UK have been providing quality, elite dance and fitness equipment for over 10 years. Recent reconfiguration and tiding of our stores area was completed this month, culminating in floor painting and gangway clearing, along with the installation of CCTV. Following our recent AS9100 Revision C Annual Audit, there were only a few minor non-conformities arising from the two day assessment. Once Corrective Actions are posted against these, we are confident our AS9100 Revision C Certification will be renewed in the coming weeks. As we head towards a busy June for Protocon, we have completion of our SC21 Continuous Sustainable Improvement Plan (CSIP) and also our last internal audit prior to our BSI AS9100 Audit at the end of June. The two-day AS9100 Revision C / ISO BS EN 9100:2009, ISO 9001:2008 renewal is further proof of the commitment to Quality, Service and Delivery we continue to maintain. Protocon Engineering is one company that reflects the cautious optimism shown in the MAS Barometer, with strong growth in the aerospace sector providing a host of new opportunities. The Southend-on-Sea firm, which provides precision components for fuel management system, actuators and telecom devices, has enjoyed a busy three months after a number of aircraft manufacturers announced increases in production. "Things have been pretty flat over the last twelve months, but just recently there has been definite signs of volumes picking up and new enquiries being generated. "BAE Systems and EADS have ramped up their forecasts and this will have a positive impact on the supply chain." He continued: "We're in a good position to take advantage of this shift in the marketplace. Over £200,00 has been invested in the business since the recession and, with the support of MAS, we are currently working towards securing SC21." Protocon Engineering, which employs 22 people at its Stock Road facility, expects to turnover £1.35m this year, an 8% increase on the previous twelve months. A very busy and productive couple of months, working on projects for our current customers IPECO and BAE Rochester, as well as consultation meetings with Surface Technology International (STI) and Lead Buyers from Exelis Defence Ltd. This month also saw Protocon complete their SC21 Manufacturing Excellence and Business Excellence Process Overviews. 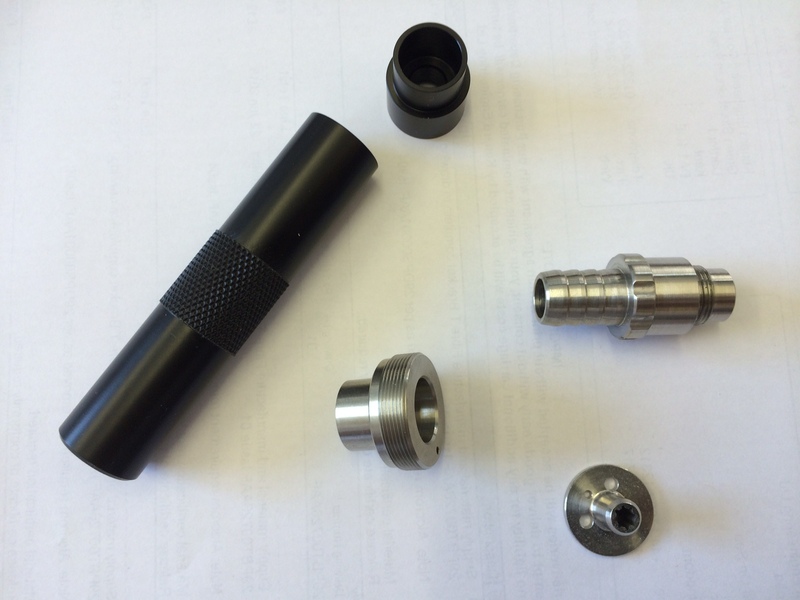 Protocon have recently produced quick turn-around complex machined items, showing the depth of knowledge, understanding and commitment to our customers. After a busy November, which saw Quality Audits from BAE Rochester, and Meggits Aerospace, Protocon are now focusing on the next stage of their SC21 Bronze campaign. SC21 deployment specialist, TEC, has announced it has successfully completed its 100th SC21 engagement with almost a quarter of this number resulting in an award. The full press release can be seen in the Advance website The UK Magazine for aviation, defence, security and space industries. and the Aerospace Manufacturing Magazine. 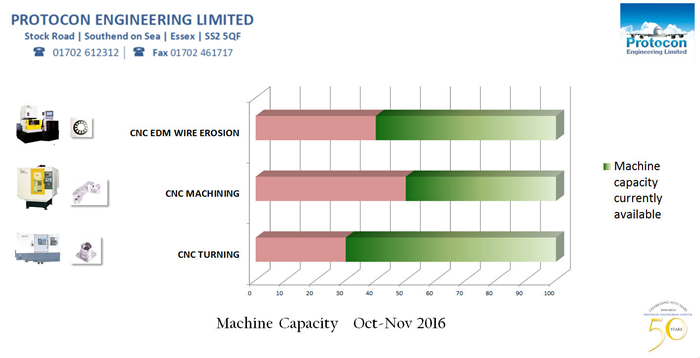 November sees Protocon Engineering working through their initial Continual Sustainable Improvement Plan, after aligning customer metrics as part of the SC21 Bronze Award change programme. The Company will initially be aiming for the SC21 Bronze Award over a measured time-line of continual improvement, and realise achieving supply chain improvement is critical to the continued global competitiveness of UK industry. This month Protocon will also complete their Quality audit from Meggitt (UK) Limited, who are a global engineering group specialising in extreme environment components and smart sub-systems for aerospace, defence and energy markets. Protocon are proud to receive their AS9100 Revision C / ISO BS EN 9100:2009, ISO 9001:2008 certification award from BSI this month, following months of hard work by all concerned, and is further proof of our commitment to Quality, Service and Delivery. Protocon welcome new customer Platinum Stages UK, to our customer base this month, who have been providing quality, elite dance and fitness equipment for over 10 years. The coming month will also see Protocon receiving a Quality Audit from Meggitt (UK) Limited, who are a global engineering group specialising in extreme environment components and smart sub-systems for aerospace, defence and energy markets. The SC21 programme is about implementing what we already do but in a more efficient and coordinated way with industry colleagues and key stakeholders, and is a key industry venture for Aerospace, Defence, Security and Space sectors. Protocon Engineering will initially be aiming for the SC21 Bronze Award over a measured time-line of continual improvement, and realise achieving supply chain improvement is critical to the continued global competitiveness of UK industry. The audit, through BSI to this new Revision C, prompted only minor non-conformities and we are confident our full accreditation will be complete in a few weeks. Following the introduction of Revision C to BS EN 9100:2003 we have successfully carried out Stage 1 of our assessment with BSI. Resulting from this we were recommended to proceed to Stage 2 which will be implemented in our annual audit in June 2012. The new CMM is situated alongside our current machine in a brand new temperature controlled inspection facility in the new premises. The existing machine has been upgraded so that they are both compatible and work / programs can be interchanged between the two. Like the existing unit the new machine has full CNC capabilities and automatic probe changing which enables most features to be checked in one setting. This further enhances our new premises which adjoin the existing factory. The HAAS Milling Centres and HAAS Lathe are now fully operational and we have also taken delivery of an additional Co-ordinate Measuring Machine (CMM). Arrival of 2 new machines - HAAS VF-2SS Vertical Machining Centre and HAAS ST-10T Lathe Turning Centre. Following our acquisition of additional premises adjoining the existing factory at our Stock Road site we are pleased to announce the appointment of Mr Karl Cadman as our Estimating/Planning engineer. Karl has spent nearly 30 years working within the production engineering sector, with the last thirteen years in a similar capacity. He is already very familiar with many of the facets of dealing with the aerospace, automotive, medical and telecoms markets. He will bring considerable depth of experience to Protocon. Successfully completed our AS9100 quality audit through BSI. We have now updated our website with new banner and colour scheme branding, plus added new photographs to the site. We have acquired additional premises adjoining the existing factory, and this has expanded our square footage by an extra 50% - we will be growing into this in time and we are already looking to purchase 2 new machines for the new premises. October 2010 : New Hardinge GS42 Turning Centre installed to complement existing CNC capacity. "With it's live tooling capacity, the GS42 represents our first step into the Mill / Turn CNC market. It should complement our existing stand alone precision Milling and Turning machines, and give us greater flexibility in the future"
"Supplier Chain for the 21st Century"
July 2010	: Continued accreditation to AS9100 after our successful quality assessment by BSI. Gap Analysis successfully completed to ISO 9001:2008 and new certification issued. 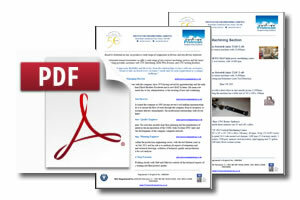 Copy of current certificates (pdf format 329kb). 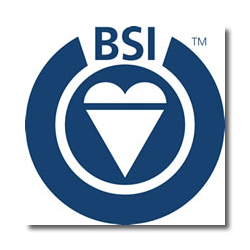 July : 2009 Continued accreditation to AS9100 after our successful quality assessment by BSI. September 2008 : Protocon Engineering gains full accreditation to BS EN 9100. On the 15th September Protocon received their Certificate of Registration to the aerospace specification BS EN 9100. See Approvals. After a successful audit by BSI, Protocon Engineering has been recommended for registration to BS EN 9100, subject to a successful final action closure of the minor nonconformities raised during the audit. This will take place on 2nd September 2008. Protocon Engineering have worked closely with Website designer Hazel Rayfield of breakofday.co.uk to develop a new website for the company. The website includes details of the plant and equipment together with information about the company and the latest news from the plant. Plans to expand the site over time, will mean that people in the industry can keep in touch with what is happening at Protocon Engineering online. The first UK installation of the high speed Fanuc F-Series vertical machining centres has gone directly into production of Airbus and Boeing aerospace components. The first UK installation of the latest high speed Fanuc F-Series vertical machining centres (VMC) with 24,000 revs/min spindle, 54 m/min rapid traverse rates and 1.6 secs chip-to-chip toolchange has gone directly into production of Airbus and Boeing aerospace components at Protocon Engineering. The T21iF machine joins three existing Fanuc machining centres and a Fanuc wire EDM - all supplied by 600 Centre of Shepshed near Loughborough. Matthew Smith, director of family-owned Protocon Engineering, explains: "We are enjoying the highest order book ever in our 43-year history - and we are still being asked by customers to increase production further and provide shorter deliveries as well as tool up for new contracts. 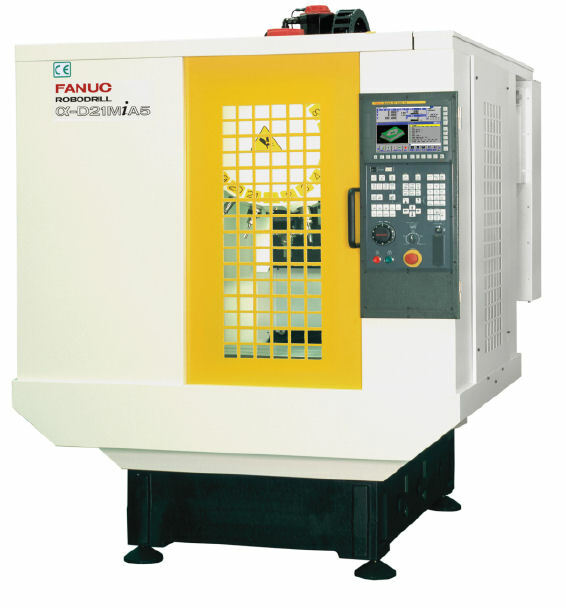 This is where the Fanuc machines are playing such a critical role." Read the full article and case study online at MWP Magazine online.